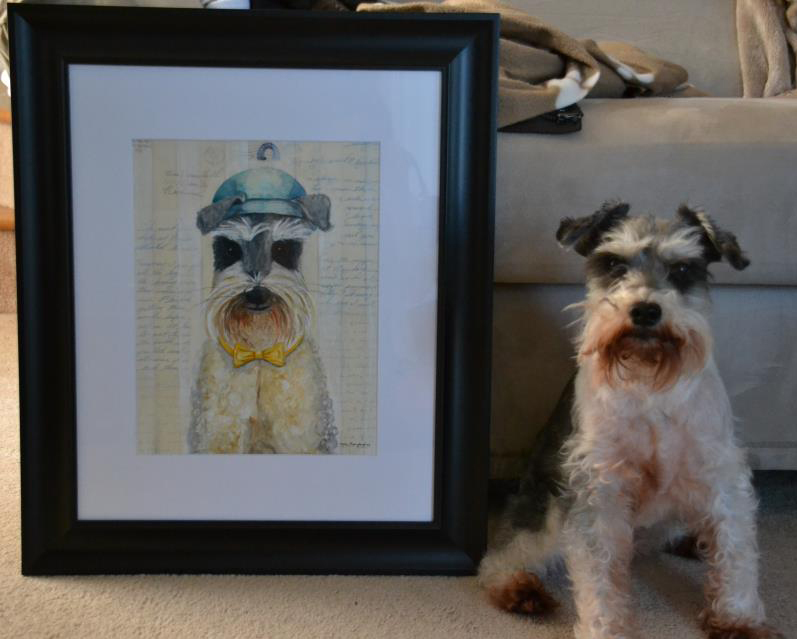 I have shied away from doing pet portraits. Ok I have refused to do any portraits. I don’t think of myself as much of a portraiture artist. It makes me nervous to portray someone so beloved as a family pet. (I can’t handle the pressure! :) But…I was dog sitting for a good friend of mine and decided I would give it a try. Plus if it turned out horrible nobody would have to know about it:) But I was quite happy with the results, as was my friend. So I thought I would share him! He was painted with water color over vintage letters from the 1950’s. I love you painting! Looks so good.